The wearable tech world is notoriously big on anticipation and weak on delivery. With more and more devices and gadgets coming to the market, it’s not easy to distinguish which are gimmicks and which are gold dust. It’s even harder to find ones that don’t look like they’ve been cobbled together in a 12-year-old boy’s garage. The best wearables need to look like a part of us. 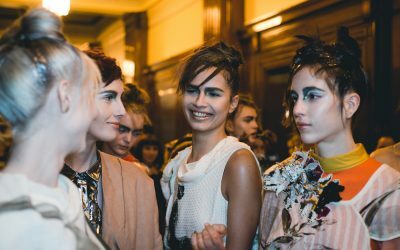 Fashion is an extension of our personality – so shouldn’t wearables be the same? Hiding their status as devices, while quietly getting on with the job. Yet few wearables are built and designed with women’s (life)styles or needs in mind. It’s a frustration we discuss time and again in Women Of Wearables, the community for female wearable designers I co-founded last year. The good news is that there are some hero products already on the market: female-centric wearables that provide real value to our everyday lives while making us look timelessly fashionable. Here are my favourite five. 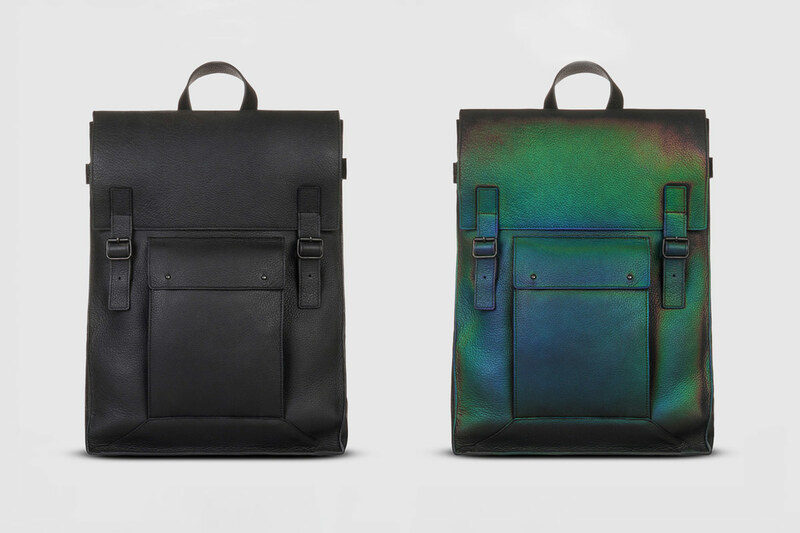 Imagine fashion items that could, based on different environmental conditions, change colour every time you wear them. Sounds too futuristic to be true? Hello, future. The Unseen’s collection of leather bags, wallets, jewellery and candles uses chemistry alongside design to deliver luxury accessories that are not only high tech, but also minimalistic and beautifully feminine. A specially developed ink is embedded into their leather, silk and wax, causing it to change colour in response to touch, sunlight, humidity, wind, and even motion. This alchemic collection is a true example of science blending with art in order to deliver unique hand-made products for women. The only problem is which to choose. The nature of clothing is about to change. 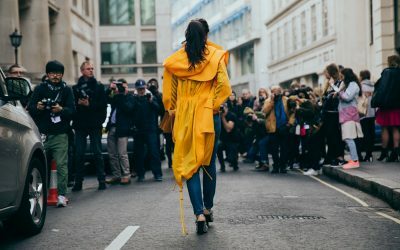 The basic functions of providing coverage, making us look good and fitting into our lifestyle are always going to apply – but smart textiles offer so much more. Back in 2015, EMEL + ARIS launched its outerwear collection for women (and men). 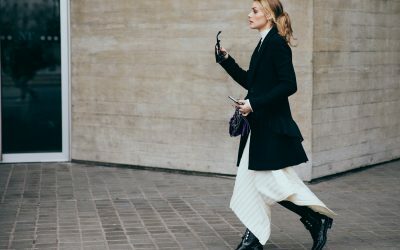 Their Smart Coat, a self-heating luxury coat, combines timeless design and high quality fabric with heat technology that allows the wearer to control their temperature at the touch of a button. 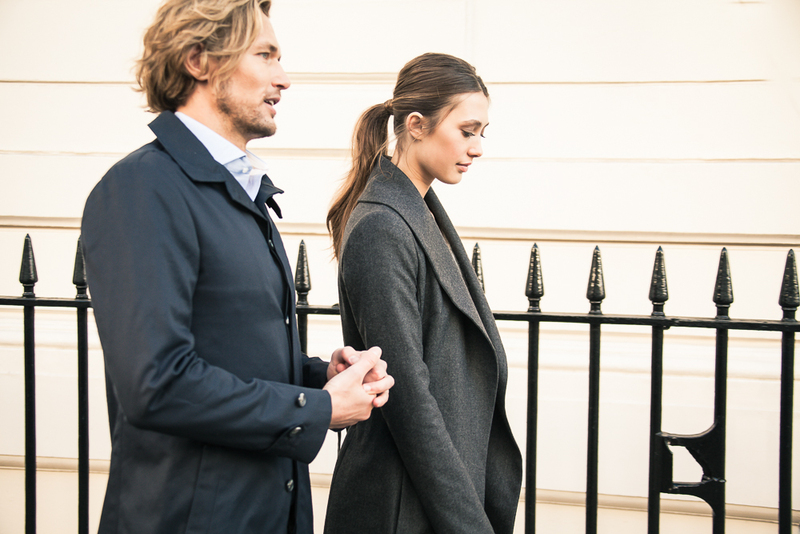 A double-barrier system ensures the coat is water and wind repellent yet completely breathable. As the founder Rana Nakhal Solset says, this cover-up is “the answer to variable weather dressing dilemmas”. And we get plenty of these in the UK, right? With so many activity and fitness trackers on the market, it’s not easy to choose one that both works and has a modicum of style. Let’s be honest, most wearable trackers today are clunky, bloke-focused affairs. Bellabeat Leaf is a bit different. First of all, it can be worn as a bracelet, necklace or brooch. Secondly, the design is so beautiful that most people won’t even suspect the tech. Last but not least, it’s built from water-resistant material, so you don’t have to worry about rainy days. So what makes this jewellery so smart? 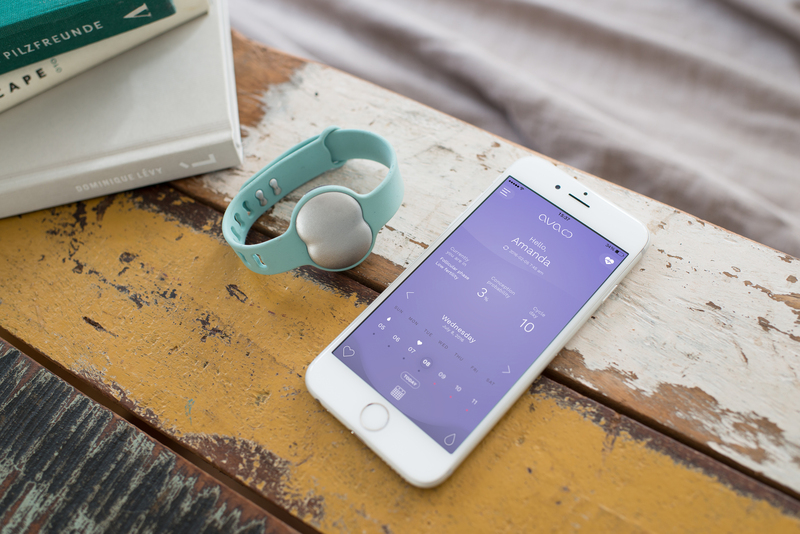 Well, besides activity and sleep tracking, Leaf will measure your breathing through meditation-style exercises and track your ovulation and period cycles. How many times have you lost your umbrella? Probably too many. Me too. But with Kisha, this will never happen again. 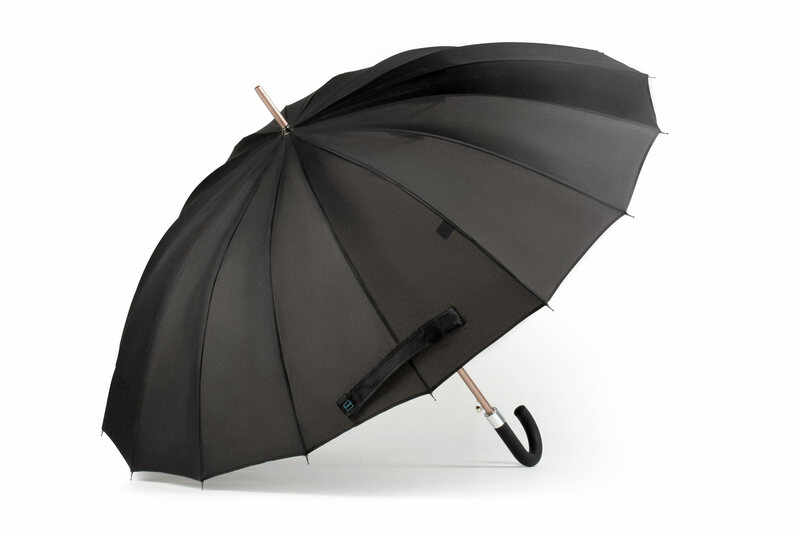 The beacon inside this smart umbrella is wirelessly paired with an app via low energy Bluetooth technology. The app receives all the information from the umbrella so your smartphone can tell you where it is at any time. You can also create safe locations so that you don’t get bothered by notifications when you’re at home or in your office, and if you lose your Kisha and don’t hear your phone, you can find it on a built-in map. There’s also a handy weather forecast feature. In terms of the brolly itself, it’s built using a special frame that cannot be bent or broken by ordinary winds – and even in a gale, extra flexibility helps Kisha return to its natural state. Add high precision and handmade stitching combined with corrosion-free materials, and you’ll be longing for rain. With more and more women waiting longer to have children, fertility is a big industry, and cycle tracking is one of its essential components. As a woman ages, the eggs she releases each month are of lower quality, and less likely to result in a viable pregnancy. And no matter your age, timing is critical to increasing odds of conception – for most women, there are only about six days per month where there is any possibility of conceiving, and only three days per month where it is likely. Hello, Ava. While the wearer is sleeping, this bracelet’s sensors collect data on nine physiological parameters that are impacted by changing levels of hormones estradiol and progesterone: pulse rate, breathing rate, sleep quality, movement, heart rate variability, skin temperature, heat loss, perfusion, and bioimpedance (no, me neither). These parameters are fed into an algorithm to detect in advance your five-day fertile window.